Tamisha Guy, a native of Trinidad and Tobago began her formal dance training at Ballet Tech, the New York City Public School for Dance under the direction of Eliot Feld. Later she attended Fiorello H. LaGuardia High School, and SUNY Purchase College as a double major in dance and arts management. Ms. Guy has completed summer programs with Complexions Contemporary Ballet, Springboard Danse Montreal, and Nathan Trice. She has performed works by William Forsythe, Pam Tanowitz, Loni Landon, Mark Morris, and Martha Graham etc. Ms. Guy graduated with honors in 2013 from SUNY Purchase College and began dancing with the Martha Graham Dance Company. Later she joined Kyle Abraham’s, Abraham in Motion, in which she is still a member. She was featured in the segment “Spotlight on Success” in Dance Informa Magazine and in 2016 she made Dance Magazine’ Top 25 To Watch list as well as winning the 2016 Princess Grace Award. In 2017, she was named one of the Best Dancer's of the Year by Dance Europe. Patricia Sandback is a dance educator, performer, and award-winning choreographer. She has created over 140 dances that have been presented in the United States, Mexico, Russia, China, and Europe. These dances have been presented by her own companies, Patricia Sandback and Dancers and Big Ladies Small Dance Company, as well as numerous other local and international companies. The inclusion of live and original music, theatrical elements, humor, and a collaborative process are a significant part of her work. She performs both choreographic and improvisation dance. Patricia is Professor Emeritus at San Diego State University where she was Coordinator of the Dance Program and taught classes in improvisation, choreography, technique, pedagogy, rhythmic analysis, and dance history. Kevin Jenkins has choreographed for State Street Ballet, St. Louis Ballet, Central Pennsylvania Youth Ballet, Columbia Ballet Collaborative, Dimensions Dance Theatre of Miami, Island Moving Company, Big Muddy Dance, Ballet Dallas, Bellingham Repertory Dance, and the School of Ballet Arizona among others. His choreography has been performed on the Inside/Out Series at Jacob’s Pillow Dance Festival and at West Wave Dance Festival in San Francisco. Dance Magazine has praised his work as "riveting" and he has served on the faculty of the School of Ballet Arizona and Boston Ballet School. A native San Diegan, Kevin trained at the Academy of Performing Arts under Kevin Patterson, Ahita Ardalan, and Jean Isaacs. He majored in dance at Grossmont College before going on to work with Mirable Ballet, San Diego Dance Theatre, and Butterworth Dance Company. He performed in regional productions of Guys and Dolls, 7 Brides for 7 Brothers, and appeared in television commercials for Allstate Insurance, Verizon Wireless, and Latinva Fitness. In 2006, he founded Garage Contemporary Ballet with Ryan Orion Beck and served as artistic director through 2012. Kevin choreographed 20 new works for the company that were presented in their own annual season and in festivals and showcases including Celebrate Dance Festival, Emerge, Ignite, Breaking Ground, and San Diego Choreographer's Prize. He won the Editors Choice Award from Dance Magazine in 2011 and 2013 and from Pointe Magazine in 2011 for Finding Narnia, Snap Pop, and Luminos. In 2013 Kevin moved to San Francisco where he choreographed for Western Ballet, Emote Dance Theater, and the Orchestra Institute of Napa with Smuin Ballet dancers. He choreographed and directed the film Chaplin which was featured at the San Francisco Dance Film Festival, Greensboro Dance Film Festival, Tiny Dance Film Festival, and America Dance Festival’s Movies by Movers. In 2014, the San Diego Asian Film Festival commissioned him to create Light & Hope to commemorate the hurricane Haiyan in the Philippines. His ballet C’est La Vie premiered to a sold out audience and was selected for the West Wave Dance Festival where it won rave reviews. Kevin now resides in New York whenever he’s not traveling throughout the country working as a freelance choreographer. He teaches for Boston Ballet School, Endicott College, and Green Street Studios. He has also served as an instructor at the Walnut Hill School for the Arts, University of San Diego, Arizona School of the Arts, Southwest Classical Dance Institute, and Master Ballet Academy. Eric Geiger: I dance and make dances in an attempt to make sense of the world around me. I am a full-time faculty member at UCSD, in the Department of Theatre and Dance, where the courses I guide question what dance is and can be. Early on, I received a full merit scholarship to the Alvin Ailey American Dance Center, intensively studying the techniques of Martha Graham, Lester Horton, and Ballet. I was a company member of the Bill T. Jones/Arnie Zane Dance Company (as well as teacher and choreographic assistant to Bill), The Lyon Opera Ballet (performing works by artists such as William Forsythe, Stephen Petronio, Susan Marshall, Maguy Marin, and Angelin Preljocaj), and McCaleb Dance, directed by Nancy McCaleb (eventually becoming the Associate Artistic Director). I want to dance forever, so I became interested in continuing my dance training and practices by seeking ways of moving with greater efficiency and sustainability. Contact Improvisation, Trisha Brown-like qualities, Deborah Hay’s questions and choreography, and somatic approaches to dancing has transformed and expanded my movement capacities. As a Feldenkrais Method practitioner, I have come to understand how to move using only as much effort as needed, moment to moment. As a dancemaker, I am a collaborator. I’ve made dances with Anya Cloud, Karen Schaffman, Liam Clancy, Leslie Seiters and my most frequent collaborator and partner Jess Humphrey. Teresa Jankovic has been a dancer, choreographer and educator throughout Southern California for over twenty years. Inspired by kinesiology and the exploration of fusing multiple genres allows her to cultivate her artistry, movement vocabulary and research. As a professional performer, Jankovic danced with Jazz Spectrum, was a founding member of BARE Dance Company and Delineation Dance, a bi-coastal dance company where she performed in New York City in the company’s inaugural year. She served for three years as Operations Manager for the Laguna Dance Festival. 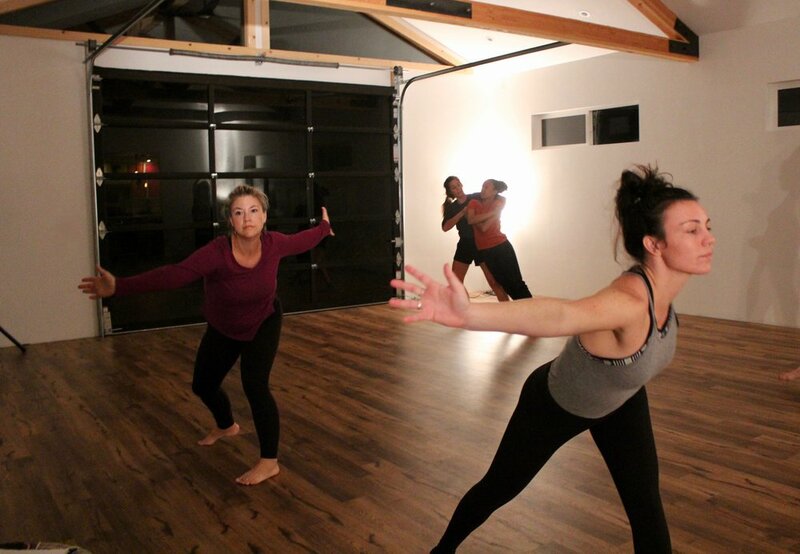 While at LDF Jankovic was commissioned to choreograph for venues in Laguna Beach including Laguna Beach Art Walk where her pieces premiered at the Laguna Art Museum. She also founded Kinetic Dance Project, a pre-professional dance company for young dancers. Jankovic earned her B.A. and M.F.A. from the University of California, Irvine where she served as Rehearsal Director to the late Donald McKayle. Currently she is Associate Faculty at Orange Coast, Irvine Valley and MiraCosta College and part-time lecturer at California State University, Long Beach. She has previously taught at and/or created works for the University of California, Irvine, Fullerton College, Laguna Dance Festival, American Ballet Theatre (ABT) Summer Intensives, NUEVO School of Contemporary Dance, San Diego Dance Theater’s White Box, American College Dance Association (ACDA), Youth American Grand Prix and the Music Center’s Spotlight Awards. Amanda Nora Legbeti holds a B.F.A. in Dance from the University of Colorado at Boulder, and an M.F.A. in Dance with an emphasis on choreography from the University of California, Irvine (UCI) where she studied on fellowship and was awarded scholarships to pursue and present her research on North American multiculturalism and fusion forms in dance. Amanda has performed professionally with several companies and her choreography has been showcased throughout the US and abroad as “Promising Artist of the 21st Century” in San Jose, Costa Rica; at ACDF (Albuquerque, Ann Arbor, and Long Beach), and in the international tour of ‘The San Souci Festival of Projected Dance’ in Mexico, Trinidad, and Tobago. She also volunteered her choreography to the AIDS Services Foundation of Orange County’s (now “Radiant Health Centers”) annual showcase fundraiser, helping them raise over $900,000. Amanda has been a guest choreographer/instructor of dance at UCI, Iowa State University, Riverside College, Cypress College, Calvin College, The Dance Center at Columbia College Chicago, Coronado School of theArts, Boulder Jazz Dance Workshop, and Dance Masters of Michigan. Also a Registered Yoga Teacher, Amanda enjoys flowing from form to form in her choreographic and performative work. YOLANDE SNAITH trained initially at Wimbledon School of Art, London, completing her degree in theatre and dance at Dartington College of Arts, UK, in 1983. Since then she has been creating her own work, performing, choreographing and teaching internationally, winning several awards including Digital Dance, Time Out/Dance Umbrella and Bonnie Bird Choreography Awards. In 1990 Yolande formed Yolande Snaith Theatredance with the support of the Arts Council of England; where she produced 11 full-length works, touring internationally to over 15 countries. In 1998 Blind Faith won the prestigious Prix D’auteur du Conceil Generale de la Seine-Saint-Denise. Yolande has received commissions from dance, theatre, opera, film and television companies, including the English National Opera, Birmingham Dance Exchange, Transitions, Ricochet Dance Company, The Verve, BBC and Channel 4 Television. In 1997 she choreographed Stanley Kubrick’s final film Eyes Wide Shut, and in 1999 she was the choreographic adviser for David Hinton’s film Birds, which was the overall winner of the 2001 Monaco Dance Screen Awards. Dave Massey is a dance educator, choreographer, movement researcher and full-time faculty at MiraCosta College. He holds his MFA in Dance from UC Irvine. He began dancing at the age of 17 and was fortunate to study from teachers and mentors in the Los Angeles area such as Stefan Wenta, Carlton Johnson, Joe Tremaine, Sally Whalen, Patrick Franz, Paul de Rolf and Jerry Grimes. He danced professionally for over 15 years and worked with eminent Hollywood celebrities of the time including Mary Tyler-Moore, Lucille Ball, Carol Lawrence, Barry Manilow and Debbie Allen among others. He danced in film, television, stage and night-club acts. Dave assisted a variety of choreographers such as Joe Tremaine, Jaime Rogers, and Roland Dupree, in convention and television work. Dave and his wife Sue owned a dance school and trained many dancers that went on to dance in Film, Broadway, television and company work. Dave has travelled across the U.S. working with Dance Masters of America, Dance Educators of America and Dance Olympus. He he has taught throughout Europe including the world-renowned Festival d’Avignon where he also set choreography on Danse St. Etienne. Dave worked at Televisa in Mexico City, working with with many Mexican celebrities and taught in Australia as an Ambassador of Dance for Dance Educators of America. Dave was Artistic Director of the Diamond Valley Dance Theatre. The company was honored to perform in the 1984 Olympic Arts Festival. Louis Segal of the LA Times wrote: "Dave Massey of Diamond Valley Dance Theatre has a sharp eye for pacing and flow that better-known local choreographers might well envy". Dave was resident choreographer at Theater East, choreographing Damn Yankees, Camelot and No, No Nanette. His concert dance has won awards including the prestigious Gold Award for Choreography from Jazz Dance World Congress. Most recently he choreographed for San Diego Dance Theater's annual Trolley Dances. Bradley Lundberg received his B.A. in Communications from UCSB, where he began his dance training with Christopher Pilafian. 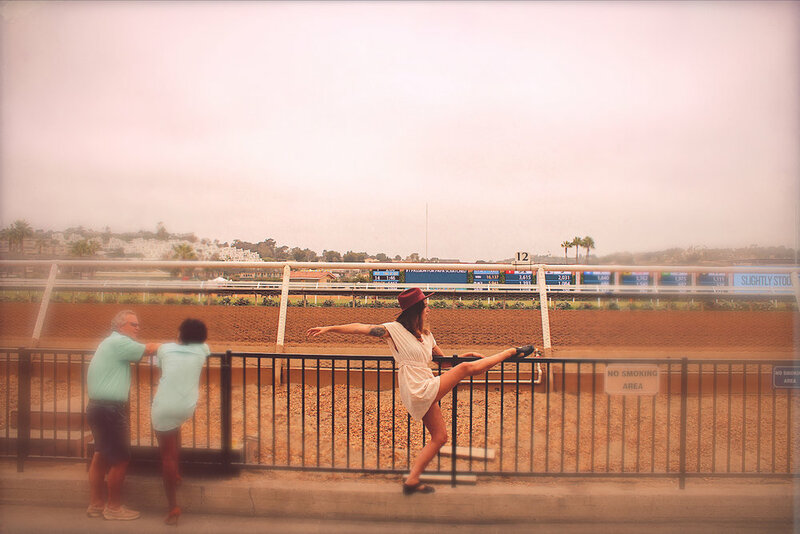 While in Santa Barbara, Brad danced three seasons with Santa Barbara Dance Theater. After a move to New York, he was a member of Jennifer Muller/The Works, Steeledance, Creach/Company, and performed in works by Young Soon Kim, Ben Munisteri, Leda Meredith, and Michael Foley as well as having a number of his own works performed at Hatch and Danspace. After a brief stint ‘dancing’ on Celebrity Cruise Lines, Brad returned to the West coast where he has danced with Keith Johnson/Dancers, Jean Isaacs San Diego Dance Theater, McCaleb Dance, Malashock Dance and Blythe Barton. Bradley's own choreography is defined by masterful partnering work, clever formation building and dissembling and continual flow based phrase work. Bradley's other passion and career is working with children with special needs. He has been teaching this population for most of his adult life.